Graduate students and postdoctoral fellows are invited to meet Dr. Nora Volkow, Director of the NIH’s National Institute on Drug Abuse. Dr. Volkow is coming to UMBC as the Spring 2015 Distinguished Speaker for the ADVANCE program at UMBC. UMBC ADVANCE reached out to PROMISE and worked with Dr. Volkow to create a special session specifically geared to connect with graduate students. Dr. Volkow’s research is on addiction and the brain, but she is also interested in sharing about her role as a woman leader in STEM. Dr. Volkow grew up in Mexico and has been studying addiction since she was a teenager. She has published more than 580 articles, and 90 book chapters and other papers! Come and meet this phenomenal leader! Grad students who have participated in PROMISE, but are not at UMBC, RSVP with your name and school in the comment section below. The PROMISE AGEP would like to express gratitude to UMBC ADVANCE for specifically developing a session with Dr. Volkow for graduate students and postdoctoral fellows. We express sincere thanks to Dr. Autumn Reed (Program Coordinator for Diversity Initiatives, Office of the Provost, UMBC) for strengthening the ADVANCE-AGEP connection through this structured and coordinated event with Dr. Volkow. 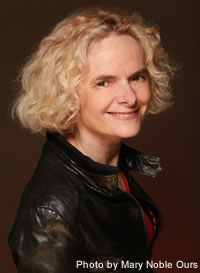 Dr. Volkow’s image and biographical information are reprinted with permission from the National Institute on Drug Abuse Press Office.